Automate setting the distance between crab pots! 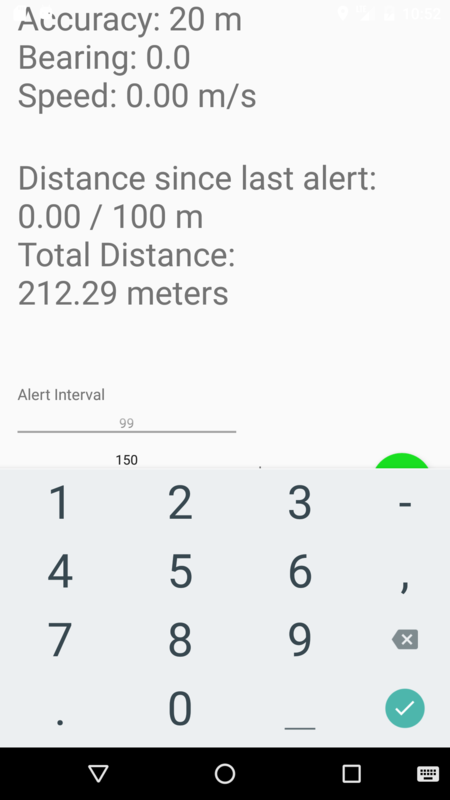 Interval: GPS Distance Alert is an application written to help commerical crab fisherman set pots. 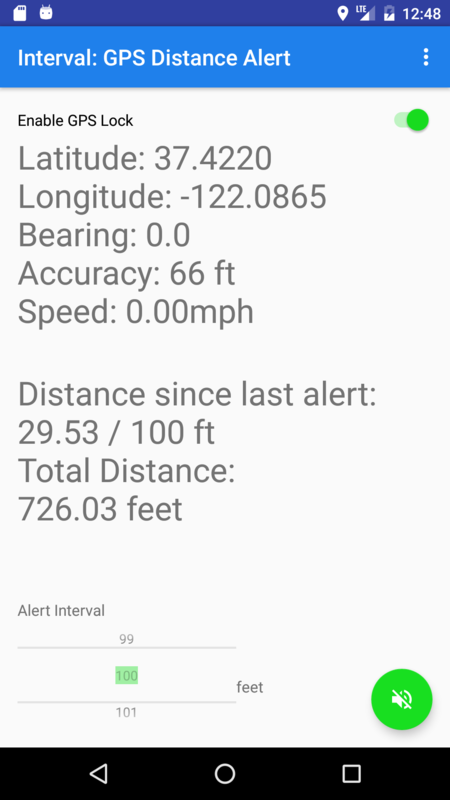 It will play an alert sound every time the GPS detects a certain distance has been traveled since the last alert. 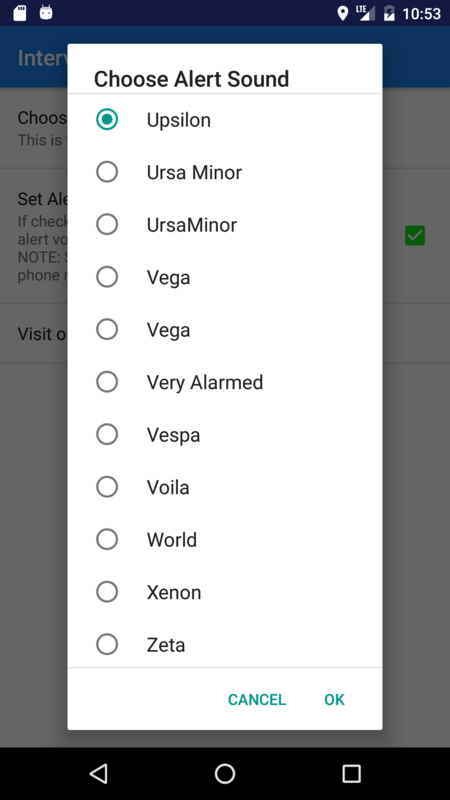 The alert sound can be any sound file that works as an android notification/ringtone. You can set the distance to any interval between 1 and 100,000 feet or meters (configure units in preferences). Automatically playing the alert sound frees the Captain up to concentrate on other things. GPS distance measuring means variations in speed won't effect crab pot spacing. Questions, comments or requests? Send us an email and we will get back to you as soon as possible! Interval set to 100 feet. Enter any interval between 1 and 10,000 meters.